I Have Run: Color me a runner? Mud not included. I'm starting to feel like I'm the only runner out there who hasn't done a Dirty Dash/Mud Run or a Color Run. And I feel like I may be banned from the running community for admitting that I have no desire to run either type of race. As far as crawling through mud and jumping over and around obstacles...I could do it. But I don't really love being covered in mud. And more importantly, I worry about getting injured. Twisting an ankle. Tweaking a knee. Breaking my tailbone. Just not worth the risk in my book. It would mean no running. Have I mentioned I love running? Then there's getting chalk or whatever it is thrown at me while I run. In general, I don't like having things thrown at me. I don't think I'd love being covered in it either. While I'm sweating. Ewww. And I typically prefer fresh air while running. That's just my two cents on this lovely Monday afternoon. Don't forget to enter to win an awesome Thermos water bottle HERE. The giveaway ends tomorrow night!! Cheers to regular, good old running! I am right there with you! I hate being dirty and I don't see any fun in trying to run through water and mud all the while trying not to break my neck. 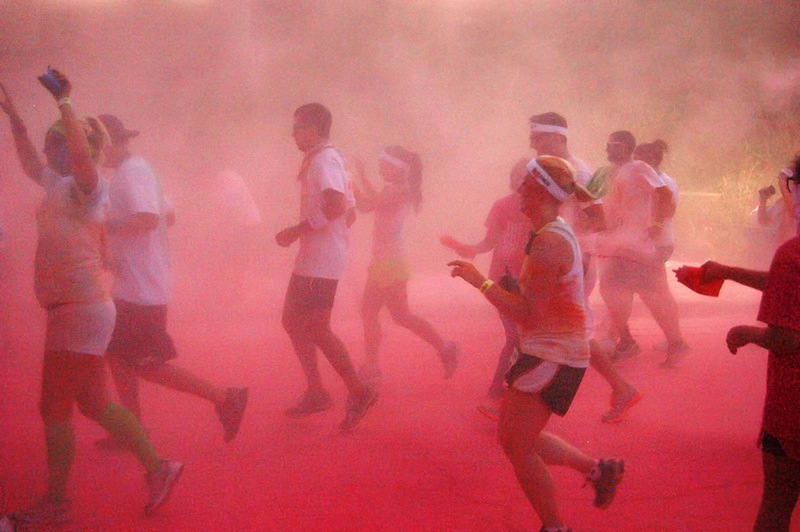 I know those color runs don't include dirt but it still grosses me out. Thanks for letting me know I'm not the only one! So on board with this post!! I know several people who have broken bones or been otherwise injured from those silly warrior races. NO thank you! I get to do a mud run daily, because the dirt track that leads to my kids' school is, well, dirty. I'm completely with you. I haven't done any of these races either and have no desire to. They don't even seem like real races anyway, just recipes for disaster. You are not alone. I have no desire to intentionally run in mud. Rain - yes. Mud - no. Yea, I could have written this whole post verbatim! I agree! Maybe because I've ran forever, and the main thing I like to achieve in races are PRs and good times. I don't have much desire to do a color run, mud run, or other themed run. I'm glad I'm not the only one who doesn't want to do one of these "fad" races. 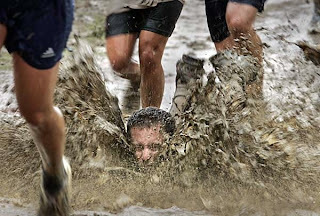 I don't mind the mud, but I'm going to be running through it on a trail, not crawling through it and calling it a race. I'm so with you on both counts. No need to get all muddy... or whatever while running.